Happy week after Christmas. Hope you had a wonderful holiday of worship, reflection, celebration, and special time with family and friends. It was all made possible through the coming of Jesus–and in this, the third part of our trilogy–we finish our brief discussion on his amazing impact on the planet. Here are eight more areas where the life of Jesus changed the world. Civil Government – “The authorities that exist are appointed by God…he is God’s minister to you for good…an avenger to execute wrath on him who practices evil” (Romans 13:4). But after the coming of Christ, the biblical role of civil government began to emerge through the Magna Charta, British common law, republican governments, democratic principles, and human rights. These things weren’t just the evolutionary march of history–they were incremental applications of Christ’s teachings to human governments. Education– “In Christ are hidden all the treasures of wisdom and knowledge” (Colossians 2:3). Did you know that we would have lost the great literature of Greece and Rome (and all of the ancient world) if it weren’t for the Christian monks who preserved that knowledge through finding, preserving, and copying all the ancient writings during the Middle Ages? Are you aware that the first universities in Paris and London were started by believers who had a thirst for knowledge and wisdom? Most of the major milestones in human education flow from one fountain: faith in Jesus Christ. Business “Do you work heartily as unto the Lord, not to men. It is the Lord Christ whom you serve” (Colossians 2:3). Even the development of human work, labor and industry, finds its zenith in the application of Christian truths. For most of history, and still in some parts of the world, there were only a few wealthy tyrants and teeming masses of poor people. For thousands of years there was no middle class and no freedom for individual initiative. During the Christianizing of Europe, this all changed as believers applied biblical concepts of labor and industry which eventually became free enterprise capitalism that led the world out of its mass poverty. As Adam Smith wisely pointed out, the Wealth of Nations was simply the fruit of applying the teachings of Christ to economics. The large and growing middle classes, the endless business opportunities, the Protestant work ethic, extensive philanthropy, and the standard of living we share today is the fruit of the teachings of Christ. When you purchase your next gizmo or wonder drug, thank God that the free enterprise system you currently enjoy is built on faith from start to finish. Science – “All things were made through Him, and without Him nothing was made that was made. 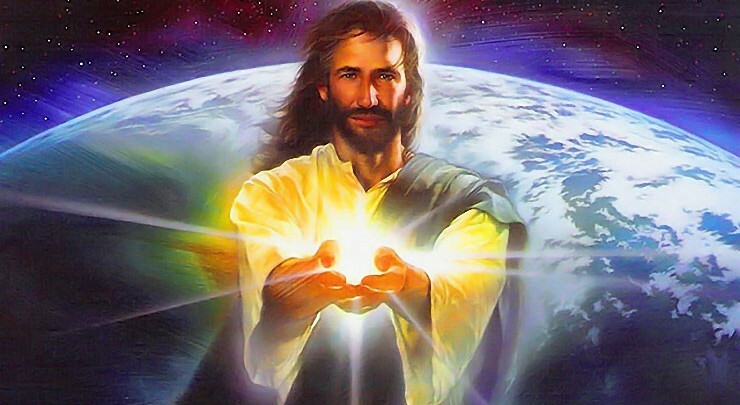 In Him was life, and the life was the light of men” (John 1:3,4). From Galileo to Faraday, from Pascal to Einstein, the leading scientists of both the past and present have overwhelmingly been people of faith who used their trust in Jesus Christ to unlock the mysteries of his creation. I once visited the Kennedy Space Center and gazed in awe at the technology and scientific genius that put men on the moon. None of this would have been possible without believing in a God whose creation can be understood. That Creator is Jesus Christ. The Arts – “Don’t be drunk with wine but be filled with the Holy Spirit, speaking to one another in psalms, hymns, and spiritual songs, singing and making melody in your heart to the Lord” (Ephesians 5:18,19). Francis Shaeffer pointed out in his landmark book How Should We Then Live? that the coming of Christ greatly influenced the arts–that prior to Christ’s birth, all music was played in minor chords, showing the incompleteness and lack of harmony in life. After Christ’s death and resurrection brought wholeness to individuals and nations, people began creating major chord music and realistic art–an expression of their reconciliation to God. Picture the totem pole faces and primitive art forms of pagan peoples. They always look wild, menacing, and evil. Not after Jesus–who brought healing, peace, and completeness to thousands of lives who then reflected that wholeness in ever expanding art forms. It’s a long ways from lewd and angry totem poles to the Sistine Chapel–but Christ produced the difference. When lives are changed and brought into right relationship to God, they sing, paint, and give him glory in the arts. This is why more hymns and songs have been written about Jesus than any other person in history. Faith – “that Christ may dwell in your hearts through faith” (Ephesians 3:17). Jesus lived a life of complete faith in the Father and imparted that faith to his followers. If Abraham is the father of faith in the ancient world, then Jesus is the engine of faith in the modern one. Faith in him led to caring for the poor, ministering to the sick, starting hospitals and schools, sharing the Good News around the world, applying Christian principles to government, economics, and social issues, and every other engine of progress. Followers of Jesus are the true progressives because they see life’s challenges and opportunities through the lens of faith in Jesus Christ. “All things are possible to those that believe.” Their faith makes them the best leaders, soldiers, care-givers, and husbands and wives. Wars against evil have been won through valiant faith–individual lives have been rescued through tender faith. It’s hard to imagine a world without faith in God and the Lord Jesus Christ. Over two billion people now share that faith worldwide. Love – “that you being rooted and grounded in love may…know the love of Christ which surpasses knowledge” (Ephesians 3:17, 19). The love of Jesus Christ has made the greatest mark upon the world. “God is love,” and Jesus’ horrific sufferings on behalf of sinful people showed the world once and for all that God cares for each one of us and provided a way out of our guilt and self destruction. For two thousand years, followers of the loving Christ have carried his compassion and care to peoples everywhere. Nations have been won through his love; The majority of hospitals and compassion ministries around the globe have been launched in his Name; When there are earthquakes, tsunamis, fires, and typhoons, God’s love through his people runs to alleviate human suffering via the Red Cross, World Vision, and thousands of other agencies. Where would our world be without the love of Christ as expressed through his people? Hope – “Christ in you, the hope of glory” (Colossians 1:17). We end with our beginning Scripture. Christ changes individuals and nations by giving them a firm hope in a future he has secured through his death and resurrection. There is life after death. There will be a resurrection of all people. Jesus is coming again to bring his redeemed people into an eternity of love and blessing in his heavenly presence. Because of these truths, the follower of Christ lives in perpetual and mind-boggling hope in the future that Jesus Christ will provide. Hope is not a wish or a dream–it’s as real as the nail-scarred hands and empty tomb. Hope gets us through the day, helps us handle tragedies and death, and points our hearts upward. Jesus Christ is the hope of the world. Unfortunately, that description fits the circumstances of some people alive today–who have not heard of Jesus and the wonder of his love. Let’s be faithful to take his Good News to them. And let’s never forget how the birth of Jesus Christ radically changed the world.